About : "I believe the design for this fly is original. To my knowledge, there isn't anything else like it which may not be a good thing. 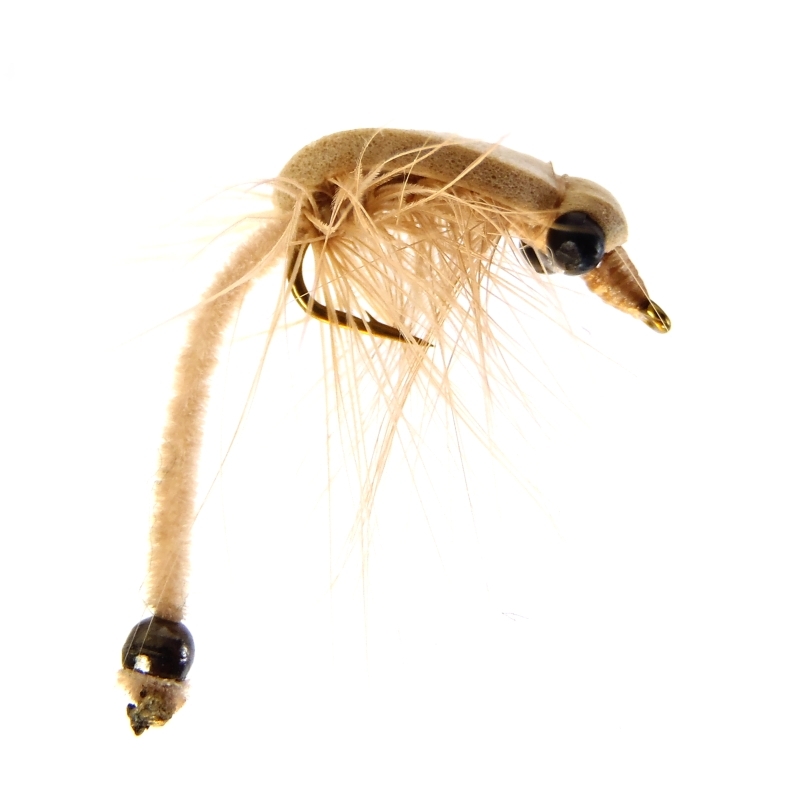 This fly was developed to fish over freshly flooded grass without getting snagged (as much). The first time I fished it I noticed it floated. With a small twitch it descend extremely slowly to the bottom. Since then I have fished it by false casting to dry it out, leading the target and making the cast. When the target is approaching the fly, I twitch it and it slowly falls into the "zone." Another way it can be fished is by leading the target, allowing the fly to sink and then twitching it across the feeding path; similar to other weighted carp flies. On a side note I can't wait to land one in the greenlights on the coast." Notes: Josh has developed one of the most creative flies I've ever seen. This design may very well eliminate many presentation problems that anglers have by effectively turning every presentation into a suspended dap. Really amazing idea here. Gosh I hope like heck I get one of those~how innovative! Josh sent in a full set so everybody should get one. Very nice... have to give it a go. Now that is one interesting fly. That is genius... Props man.